The Ebola virus is a deadly disease, which until now, was present in Central Africa and the democratic republic of Congo DRC. That it has now spread to West Africa, requires a concerted regional and global approach in dealing with the potential devastation such a virus can impact on the health of the nation, its economy and tourism. The virus was first reported in Guinea and Liberia – both countries bordering Sierra Leone. The Gambia, a small West African country that relied on tourism for significant percentage of its GDP, had acted swiftly to seal it borders. As of now, there has been no report of the virus spilling into the Gambia. The Sierra Leone Ambassador to Gambia – Souley Daramy held a press conference to deny any evidence of Ebola virus in his country, in an apparent attempt to convince the authority that travel restriction on Sierra Leone was not necessary. Meanwhile, health officers in Sierra Leone carried out tests on suspected cases and presented this as evidence that there were no victims of the virus in the country. This, to me, demonstrates the government’s mishandling of such serious health threat, and points to the gross incompetence of its officials. Whereas the Gambian authorities attacked the problem from its sources by closing its borders and barred travellers from suspect countries, Sierra Leone, in contrast, focused its effort on ascertaining whether the virus had indeed arrived in Sierra Leone. In doing so, they wasted precious time during which cross border activities remained unchecked and thereby increased the possibility of a potential carrier of the virus from Guinea and Liberia – taking the virus with them to Sierra Leone. This was a miscalculation on the part of the government of Sierra Leone. The most effective way to have contained the virus is not by a selective testing of reported suspected cases, as much as that was necessary, but to have firstly, closed the borders with the affected countries. I am aware that Sierra Leone has no proper and effective immigration policies and this situation is compounded by inadequate resources, corruption, lack of training and poor leadership. But the virus presented the government with what I would have considered an emergency situation, and they failed to measure up to it. The following actions ought to have been deployed as quickly as possible. 1. Borders between Liberia and Guinea should have been officially closed temporarily, despite its porosity. 2. 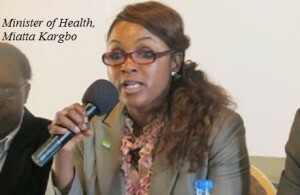 Respective Sierra Leone ambassadors in the affected host countries should have been instructed by the government of Sierra Leone, to make public announcement, via local media to the citizens of Guinea and Liberia travelling to Sierra Leone, to first report to the Sierra Leone embassies for screening as an entry requirement. Likewise, the government of Sierra Leone should have put a temporary travel ban on its citizens to the affected countries, unless for an emergency situation. A traveller would be required to submit to immediate health checks on his return before being allowed to mingle with the general public. Because of the ECOWAS protocol, which grants free movement of its citizens, it still does mean a sovereign country losing complete control of its immigration policy. In the case of Sierra Leone, introducing a health screening aimed at preventing the virus incursion in to its territory should not have unreasonably interfered with free movement. But where this was judged to be the case, this may have required a parliamentary approval, which the minister of interior should have secured through an emergency debate. This is how a responsible government works. Prevention is better than cure. 3. Government should have dispatched a special task force to include military personnel, immigration officials and health officers in the border areas to screen immigrants on their point of entry. Kailahun district, which is the entry point for travellers from both Guinea and Liberia, should have been managed strategically. 4. Sierra Leone has several local radio stations in every region. A radio broadcast should have educated the people about the virus and asked them to report any new travellers coming in from Guinea or Liberia to health officials and immigration officials for screening. The government failed to take these crucial initial fundamental steps that could have gone a long way to preventing the virus spilling over into Sierra Leone, and stopping people in the border communities dying needlessness. This virus has become a national tragedy, and hence calls for a national approach in dealing with it. It should also be the concern of all Sierra Leoneans. However, the government has been incompetent and terribly slow in averting it. Government now has to allay the fears of its citizens by acting robustly, promptly and appropriately to effectively contain the virus and provide the necessary support – clinically and financially to the affected communities. Yankuba Kai-Samba is the former SLPP Secretary General in the UK and Ireland.